This class is designed for students to expand their basic knowledge and skills in hand building and wheel thrown ceramics. More emphasis will be placed on the craftsmanship and quality of the finished product. Students may learn to load and fire an electric kiln. 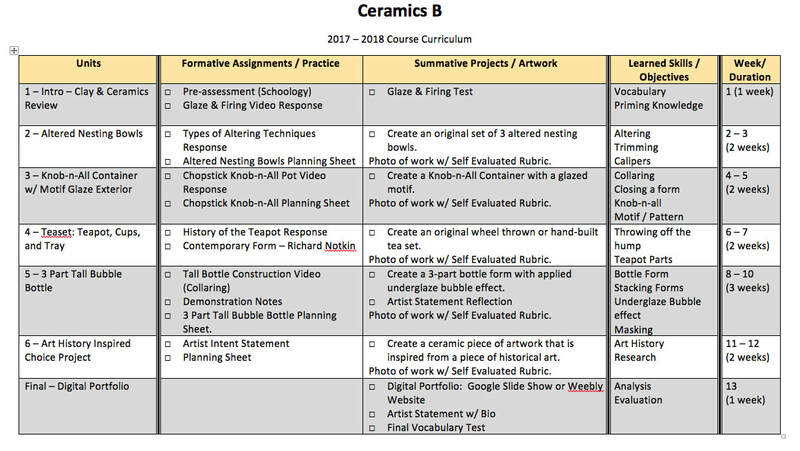 This class is open to students who have taken and passed Ceramics A with a C or better grade and have the consent of the instructor.